*This is open to anyone, whether you are a vet or newbie. The more the merrier! *The cutoff will be October 31st for getting packages/donations in the mail to me – my address is in my profile. This will allow me enough time to get them shipped and the soldiers receive them before the holidays. *Send as many cigars as you would like. Even a fiver will make a difference. Cutters and/or matches would also be appreciated. Please, no lighters – I’m trying to avoid any problems with USPS. *Please PM me if you send a package. I'd like to avoid boxes sitting on my doorstep in case I'm traveling. *We are currently working out the details on shipping. However, if you would like to donate to cover any shipping costs, please PM me. *If you would like to nominate a group of deployed troops to receive one of the care packages, please send me a PM. Last year, I created a virtual humidor with all the cigars. Depending on the response, I might do that again this year. Count me in brother. I will also donate some finger bags, not sure how many I have maybe 30 or so. Hope that helps. I will let you know when I send the box!. I'm in, what a great cause! I'll send some. Thanks for handling again this year, Nathan! Of course I'm in !! Thanks for organizing this again each year, Nate! Thanks for keeping this train rolling Nate. Wow! Great response thus far! It looks like between bmac and joelala, we will have the finger bags covered. Thanks to both of them for helping out! I'm in. Thanks for organizing this again! X2 here, I'll kinda follow along with this. Helping for a good cause makes you feel humane. You can count on me for some shipping money as well as a few sticks! We can hook up whenever.... by the way do you still have some LFD CO#3's left for me? as a retired combat Vet I am in as I always loved these kinds of care packages! Would a gift card from..lets say atlantic cigar or somewhere like that, sent to you so you can order what ever yopu need/like.. work as well. FOr us Canadians who would like to help out? I'd like to send in some smokes again this year. I'm in. Hope to ship Saturday. Didn't last year you also take cash donations to help cover postage? How about this year or did I miss something in the fine print? I'm in. I can assist with holding the stock and the shipping fees as needed. Yes, I brought them to Chattanooga, but I forgot to hand them off to you. We can meet up whenever – maybe we can get the Petrees and other Atlanta Geeks together for a herf? A gift card would work, or you can order something and have it shipped directly to me. Either way , it is much appreciated! There have been multiple people offering to send cash for shipping, but it looks like we may be covered. I'll contribute as well! Will ship them out next week. Count me in again as well. I'll talk to my non-Geek friends at work about donations as well. I'm in! Will ship something next weekend! For sure, I'm in again Nate. I didn't see my name on the list. I'm also going to randomly draw one geek that donates to send a premium 5er, so everybody get your donation on! I'm in. What a great cause. This is going to be BIG based on the response thus far - 40 donors already! mike.casey - 8/10/2013 10:22 PM Nate, I didn't see my name on the list. I'm also going to randomly draw one geek that donates to send a premium 5er, so everybody get your donation on! A BIG shout out to DogMan, bmac7754, lubrix, and Ntxsage for opening this up with a bang! A total of 196 cigars hit my doorstep yesterday! In addition to the cigars, DogMan sent some bubble wrap baggies, a few cutters, some matches, and some cash to help cover shipping costs. bmac7754 was generous enough to add 40ish 5-finger baggies as well. Thanks folks! Will ship some out this week or Monday the latest will pm. I am in....I will bring it up at my Cigar Club Meeting next week and see if I can get a good response....So it may be a couple weeks til I send off. Just sent off mine to you Nate! Thanks for organizing this! These arrived today, courtesy of KmanNoob via Cigarstix. That brings our total to 212 - thanks! Wow Kerry! You're alright in my book! VERY generous gift to the troops. I'm in again Nate and will help with some shipping costs again this year as well. I have some plastic cutters down at the cabin that work really well next time I run down I will grab em and include those as well. Ntxsage - 8/14/2013 9:44 PM Wow Kerry! You're alright in my book! VERY generous gift to the troops. Thanks Michael. It's an honor and privilege to not only give something to those who serve but also to share the hospitality and generosity of the great people I've met here. Got 25 cigars boxed up, dropping em at the post office tomorrow at lunch. Thanks for arranging this for us! I need to do some humidor maintenance this weekend. Be a perfect time to pull some sticks for this. On its way shortly. I'll PM you with the tracking number when I have it. I'm in! Also sending a box donated by Freakydeakydutchman!!! Nathan, I have a bundle of Gran Habano Vintage 2002 Churchill heading your way from CI for the troops. You should see it next week sometime. I will get an estimated delivery date when it ships. Nate, UPS tracking number 1Z596F8VYW33337111 for the drop ship to your address and it says early drop sat. rounding up my collection this weekend, with some donations from some fellow geeks around here. Just saw this. That is very generous and a great way to generate interest. Thanks! CigarStix and Freakydeakydutchman cigars shipped today! Thanks for allowing our participation. Should be there tomorrow buddy! Three more donations rolled in today. Thanks go out to Biggsy16, CrazyK, and StogieDad! Nathan - I am trying to get to the post office sometime tomorrow. My shipment's on backorder. :( I'll let you know. Nathan ~ Stix should arrive today! I will be organizing my humidor at the end of the month. Will pull some and send them your way. Every little bit helps our troops while away from home for so long. Can someone PM me the address to ship these sticks to? I'll update this thread this evening. We had three more donations come in yesterday, but I wasn't able to look at them last night. You guys/gals are raising the bar this year. 5 more donations rolled in on Monday and Tuesday. Thank you Ted, CigarStix, freakydeakydutchman, ntanner, and Rbrushaber! And a special thanks to CigarStix for a bunch of cutters and Ted for a few cutters and a humidor! I am sending out tomorrow. Still waiting on the backordered sticks... Would have been nice of them to update the stock on their website before I completed the transaction... oh well. No worries - plenty of time. Will get mine out ASAP!! I'm waiting on a few cbid shipments, I will have mine out within the next two weeks. Nice to see such a good response. Way to go guy's. So how many do we have so far? And when do I get my Troop Supporter badge? On a more serious note I am traveling for a couple of weeks. Will I still have time? Yes, deadline to get them in the mail to me is end of October. CrazyK - 8/22/2013 7:00 AM So how many do we have so far? And when do I get my Troop Supporter badge? I still don't have any of my badges the last of which would have been my CRA Member badge so I'm guessing at least 6 months On a more serious note I am traveling for a couple of weeks. Will I still have time? Thanks! A member has bombed 10 or more other members. A member has bombed 50 or more other members. A member has bombed 25 or more other members. A member has submitted 10 or more cigars to the Cigar DB. A member has submitted 100 or more cigars to the Cigar DB. A member has submitted 50 or more cigars to the Cigar DB. A member is a Cigar Geeks Administrator. A member has started 5 or more Cigar Passes. A member has started 15 or more Cigar Passes. A member has started 10 or more Cigar Passes. A member has submitted 25 or more photos to the Cigar DB. A member has submitted 150 or more photos to the Cigar DB. A member has submitted 75 or more photos to the Cigar DB. 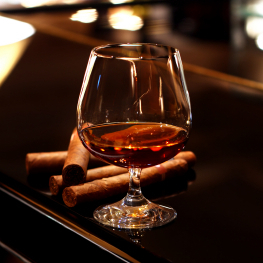 A member has submitted 5 or more cigar friendly establishments to Cigar Places. A member has submitted 15 or more cigar friendly establishments to Cigar Places. A member has submitted 10 or more cigar friendly establishments to Cigar Places. A member has submitted 25 or more cigar reviews. A member has submitted 250 or more cigar reviews. A member has submitted 100 or more cigar reviews. A member has an active membership with the Cigar Rights of America association (www.cigarrights.org). Enter your CRA membership ID in your account settings. A member has completed 5 or more buys, sells, trades, or box splits with other members. A member has completed 30 or more buys, sells, trades, or box splits with other members. A member has completed 15 or more buys, sells, trades, or box splits with other members. A member has participated in our Cigars for the Troops initiative for 2012. Two more donations were received yesterday, bringing out total to 467 cigars. Thank you tvolball and mairey for the donations! mairey also sent a bunch of matches and baggies, which is much appreciated. Just a quick update. Two more boxes arrived today, and it looks like there are a couple more on the way. I'll update the thread with new the new total and pictures tomorrow or Thursday. If you are looking to send me a package, please hold off until late next week (on or around 9/5). Package has been shipped it should arrive Friday. I was doing some coolerdor arranging last night and needed the room, so I found another big gallon size zip lock bag full I am going to pass along when you get back. For those that already have packages in transit, no worries. I'll make sure that someone gets them out of the sun. I'm glad I read this, I was going to mail mine tomorrow!! Four more donations came in the past couple of days. Thanks lubrix, jeffk42, toby2, and Cfickter! Wow that is awesome guys!!! Keep them coming! This is gonna blow by 1000 sticks in no time! good to see they made it! Nathan I plan to get mine in the mail to you on 9/5 or 9/6...will that work? Good to see they made it. I should be shipping my share sometime in the next couple of weeks. Got some sticks coming in. My package is also on the way, I do not have the tracking number, but it is on the way!! I held off as requested... I will mail you a box tomorrow. Just an update will be sending my box out Monday afternoon or Tuesday after I get back from the cabin this weekend. The donations keep rolling in! Thanks go out to johncw, Joelala, ThinBlueLine, Smurf, and Otter. A special thanks goes to Joelala for contributing some additional 5-Finger bags. I'm back from vacation, so feel free to send anytime. I'll try to update the virtual humidor to get a new count this week. Nathan, will get mine out this week! We have officially surpassed last year's total! On top of that, we still have 29 people that have shown interest. Let's shoot for 1,000! Nathan, I got one part of my package today, and have one more order that should get to me next Monday or Tuesday. I should have everything going out to you by the end of next week. Wow, this is getting really big. Glad they arrived. This is pretty awesome! Nice work everyone. I know I still need to get mine out. Nathan, this many cigars ain't going to be cheap to get shipped out. I'd like to have CG cover the shipping costs. Very generous, Paul. Now, do we start a new drive for contributing to CG to cover postage costs? Nah...i'll just cover it out of some advertising fees. Nathan. I plan on having something sent in as well. I have some deployed buddies. Scouring for interest in cigars. Will let you know what I come up with. By the way, did John (kooldaddylane), who you sent the cigars to last year, ever get you any photos? That's awesome. Way to go Paul!! I will be getting my package together this weekend. Will PM tracking info Monday. Nathan, I'll get you a PM sent when I get it all together, but I'll be sending some to you soon. Nathan, I'll pull mine together this weekend. Thanks for organizing this bro. Mine are going out in today's mail. Tracking number 9354 6000 1353 3256 0003 22. Expected delivery Sept 21. Package should be on your doorstep tomorrow. My donation will go out tomorrow. Thanks Nathan! Hey Nathan before I send my box is there anything else you still need? If I hear nothing then will go ahead and send. Sent a package out on Friday, they should arrive this week. A bunch more packages arrived yesterday. Thanks to junglepete, grabow66, Rebecca Silverwolf, and Hapcigar. Also, thank you for a second donation from Rbrushaber! That is mighty generous Paul! We might have a corporate sponsor (via nirab), but if you prefer to cover it, let me know. We have a couple of nominations thus far, but feel free to PM me with any others. Unfortunately, we didn't receive any pics from last year. How is kooldadylane? IIRC, he was medevaced to Germany. If you can spare it, $1M might be nice. Seriously, we have tons of baggies, cutters, etc. and shipping will be covered one way or another. Good deal just wanted to double check. Will send out my box tomorrow then. Amazing generosity from all!! And only from half of those committed so far. It's going to be a big one by the end of it all! How many did we donate last year Nathan? Sorry the weekend got away from me, and now I am in Spokane, WA the rest of the week on business. Will pull some sticks this next weekend if time permits. We had 31 contributors and 676 cigars in 2012. So far this year, we have had 27 contributors and 815 cigars, which averages 30 cigars per donation. That's amazing! Oh, and we still have 28 people that have shown interest. I'm in. I'll get some smokes together and try to send out today or tomorrow. 31 cigars if I counted correctly. Thanks for the updates, folks! We had a couple of more donations arrive, so I'll post an update this weekend. I'll keep an eye out for packages, but if you get a delivery confirmation number when you ship, post it up here or shoot me a PM. That gives me an idea on when to expect them should I go out of town. According to the Post Office, to be delivered Monday. And when have they ever been wrong before? Mine will be out this week. Should get to you on Thurs. Sorry for being later than planned. Thanks as always for doing this! Quick update. Thanks to nirab and Jackal for their donations, and another thanks to KmanNoob for a 2nd donation! We are up to 897 cigars. Two more donations. Thanks The Burn Ward and Mautrak! Total is now 934 cigars! I did mention I would join in and still plan on doing so. You can add my name to the list. Is next week too late to send my contribution? Sorry about that - I'll add you to the next update! Since we will be sending these to troops using US mail, we should probably limit it to NC. Just a quick reminder, folks. I know we have about a month left to get donations in, but that will sneak up on you, especially if you procrastinate like me. There were some people that wanted to contribute last year but missed the deadline. Hopefully, that doesn't happen this year! The boxes I was awaiting arrived today - will get the cigars prepped and off in Thursday's mail run. Mine went out in the mail yesterday. Thanks again for all your work on this, Nate. Thanks for the reminder! I just placed an order, and it's being delivered to Nathan's house. I'll update the thread, once I have a tracking number. Mine go out in the morning... USPS 9405503699300071960134. Nathan, thanks for coordinating again this year! Placed the order, should have the shipping info for you soon! Thanks again for doing this! 5 more donations rolled in over the weekend. Thank you Brlesq, Longhorn, lukin, zac, and MT21! With that, we have passed the 1,000 cigar mark! We now have 1,017 to be exact. Awesome thanks for all the hard work Nathan! Very cool indeed. So many pulling together for a good cause. Nathan I will get them in the mail this week. Will you be home this week? Send them when you are ready! This community of Geeks is nothing short of amazing... and generous. Nathan, thanks again for leading this effort! Wow! That's really cool! Thanks for all the work Nathan! Nathan Package sent today. Info PMed to you. Finally got mine out today as well. Just PM'd tracking Nathan. Thanks for organizing and storing once again! Thanks for all the donations, folks. I'll keep an eye out for packages. Another package arrived today - thanks jumberlack1! Packages from SenorPablo, mike.casey, and chief791 all arrived today. Thanks guys! Looking good, they troops should really enjoy all the smokes. Great job Geek's. Thanks for the reminder Nathan. Package on its way today! is there a CI free shipping code recently? My package is finally out, on it's way to you Nathan. It should be there by the 22nd at the latest. A number of donations came in late last week, but I haven't had a chance to update the thread. Thanks BlackIrish, cigarzinn, kxthor911, and 87North! We now have 1,168 cigars! REMINDER - You have ten days to get your donations in the mail to me. Nathan, I agree thank you for the reminder. I will try and get some out to you ASAP. Thank you Mojo66 and mpurtle01 for the donations! I'm happy they got there so fast.. and in good shape. It feels good to be part of this. Thanks again Nathan for all the work. Nathan, sorry for the delay. I ended up having eye surgery a couple of weeks ago and am just starting to be able to see again... so I pulled a bag of stuff from the Humidor, and the wife says she will box it and mail it tomorrow. I will PM you a tracking number once I have it. Nathan, mine should be en-route soon, if it's not already. A few more donations have arrived. Thank you Vroomp, nkowal, and crzykidd! Got one mote package boxed and headed Ur way tomorrow Nathan. Total is now 1,267 cigars - way to go Geeks! Awesome Job everyone, glad mine made it to you Nathan. 9114901159818194494655 Headed you way, be there tomorrow. cavenbk's donation arrived today. Thank you, sir!